Hello everyone! My name is Vivian but everyone calls me Vee. Heavenly is my favorite as well! I hope you have fun on here. Welcome! I also love Tommy heavenly6 the best. 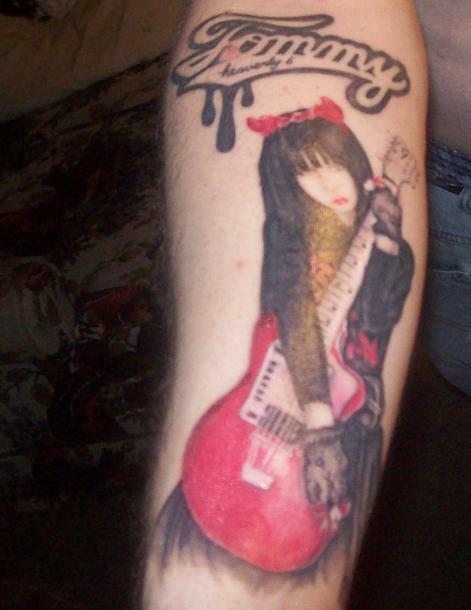 I even have a tattoo of her. Welcome Vee, you are most welcome. It's always great to have a member from a new country. En serio, este foro esta genial ^^ Hay gente muy maja, y hay mucha informacion!! Pasatelo bien, nee? ghitgo wrote: Welcome! I also love Tommy heavenly6 the best. I even have a tattoo of her. Very soon I'm getting a Tommy february6 tattoo. I've already gotten it started. The part on the wrist was rather painful. But it was worth it.